EZE Breeze screen porches vs. Sun Rooms? 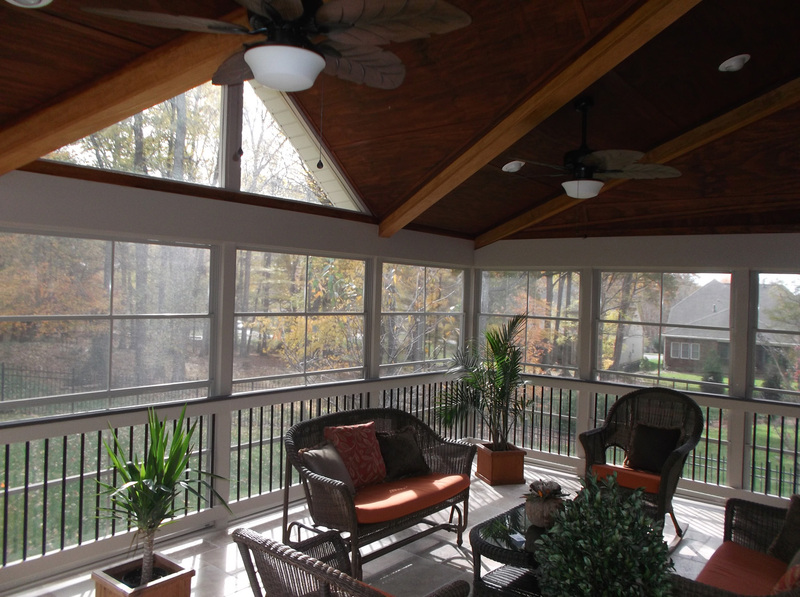 So, what are the advantages of an EZE Breeze screen porch vs. a sunroom? There are several! As a distributor and installer of the EZE Breeze windows for the past 17 years, we are well positioned and experienced to comment on this from our customers point of view at Archadeck of Charlotte. 1. Flexibility – EZE Breeze give you the ability to have a screen porch or a sunroom by simply stacking the windows at the bottom or the top of the porch or simply removing them altogether. A sunroom will not provide nearly as much ventilation and free air flow.